Hey! My first epiphany during a meditation and it was an epistolary epiphany. My ego craves publication, but my soul can make do with an audience of one. I met two remarkable women in Cuba and I intend to correspond with them, to the extent possible under the current regime. 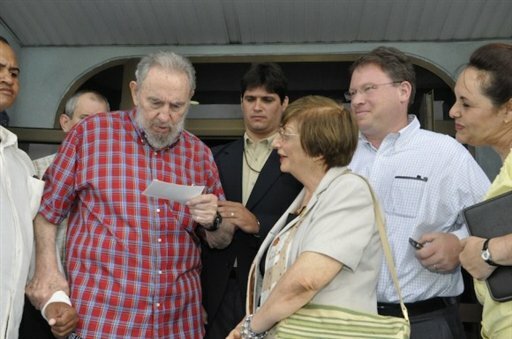 My hero, Adela Dworin with Fidel. She used a ten year old photograph of herself with the Cuban president to gain entry to a meeting. He told her she hadn't changed a bit. She said: "You look the same as well and we're both lying."